Moore has over 35 years of progressive lodging and service industry experience with expertise in sales management, digital marketing and hotel operations. Most recently he headed Marriott’s Field Marketing organization as Vice President of Marketing & eCommerce, at the time managing a team of 100 Marketing & eCommerce associates supporting 250+ full service Marriott, JW Marriott, Autograph Collection and Renaissance hotels across the United States and Canada. Prior to that, he led Marriott’s marketing and sales operations for a combined 10 years as Regional Vice President of Marketing and eCommerce – Eastern Region and Regional Vice President of Sales and Marketing – Northeastern Region, earning Marriott and industry marketing and sales awards for both positions. Moore is on the University of New Hampshire Hospitality Program International Board of Advisers, and partners with the Chair to lead the Program’s marketing strategies to attract incoming freshman. He is a 2017 adjunct professor at UNH and has frequently spoken at hospitality sales and digital marketing forums both at the university and other locations. He also leads the professional development functions for the Hospitality Management Program, partnering with Hospitality employers nationwide. 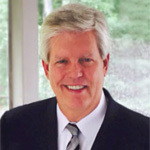 Moore has been recognized with Industry achievements throughout his career with Marriott including the 2014 Global eCommerce Team of the Year, 2013 Global Marketing Team of the Year, 2008 Global Award for Sales Force One Marketing Support, 2007 North American eCommerce Performance Team of the Year and the 2007 North American Marketing Performance Team of the Year award and the North American Director of Sales of the Year for Marriott in 1987. He has also won several HSMAI Marketing awards throughout his career. His education includes a Bachelor of Science, Hotel and Restaurant Administration from the University of New Hampshire. He also received his Certified Hospitality Industry Analyst (CHIA) certification in 2016.